1. 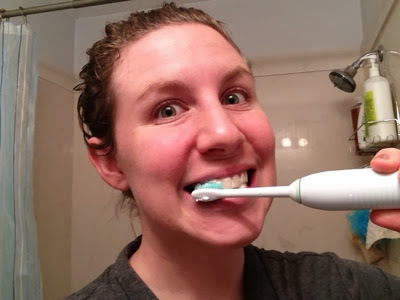 My electric toothbrush. A gift from my in-laws, this lovely gadget leaves my pearly whites pearly white. My mother-in-law was right when she said I'd never want to go back--I love it, and I feel so mature for putting it on my Christmas list. Hopefully she was impressed I asked for it. It even helps my nose look shiny. The problem is, though, that it runs on a two-minute timer, beeping every 30 seconds to let me know it's time to move to the next quadrant of my teeth. TWO MINUTES. Oh my heck, TWO MINUTES. I could sign up for Obamacare in less time. Yeah, yeah, that's what the ADA recommends or whatever, but for 23 years I brushed for 25 seconds tops and got only one cavity. If I don't brush until it shuts off on its own, I experience a niggling guilt ... like I don't know the ending to the riveting storyline that is my dental hygiene routine. Thank goodness it doesn't have a special chime that tells me I have to floss. 2. 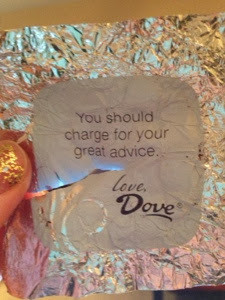 Dove chocolate. The guilt I experience eating these little squares mostly comes from the fact that the bag I currently have, Sea Salt Caramel Dark, is gross. Completely lackluster, they are just not worth it, yet I continue to eat them and would feel wasteful throwing them out (see! I'm not completely a horrible American!). I'm happy to eat a gallon Ziploc full of reheated leftover pancakes smothered in cookie butter without a caloric care, but that's because they are frizneaking delicious. Sea Salt Caramel Dark Dove Chocolate is like watching reality TV--a mild amusement with no real worth, but seductively packaged in shininess. And then there are the pithy gems of wisdom inside the wrapper, phrases like "Indulge your sense of amusement" (thank you, I will continue eating this Kardashian of chocolates), "Treat yourself today," or the antisocial "Be mischievous. It feels good" (excuse me while I go smear melted chocolate on my husband's work shirts). Advice columnist might actually be my dream job. Also, please note my chipped Rihanna nails. Glitter. Vulture Chocolates™! These chocolates would be honest and un-patronizing. Instead of sycophantic messages inside the wrapper, there would either be the amount of exercise you'd have to do to burn off the calories you're about to consume (ex. 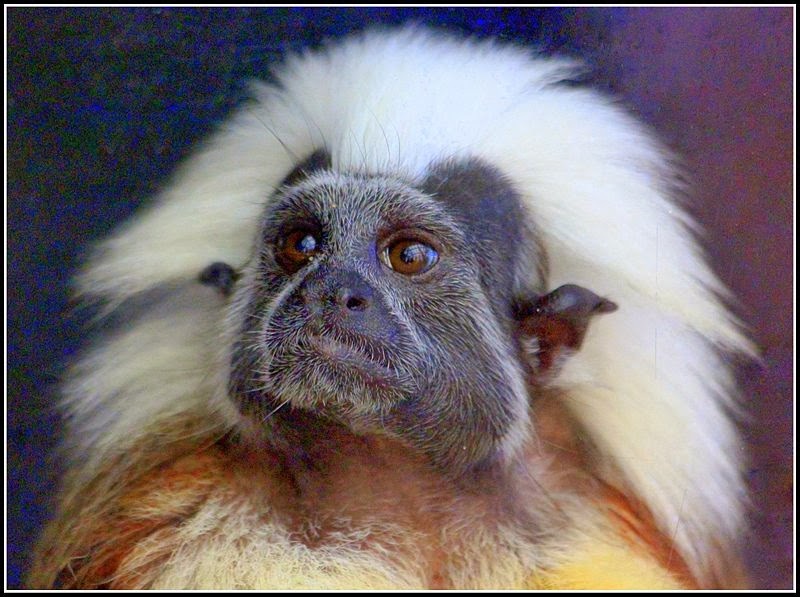 45 pushups, 5 minutes of jogging, etc), or else a picture of an animal whose habitat was destroyed by the expansion of the cacao plantation that supplies the company. And they would be delicious. I had to move my mate and two babies to a rental on the seedy side of the jungle. Enjoy your chocolate! 3. 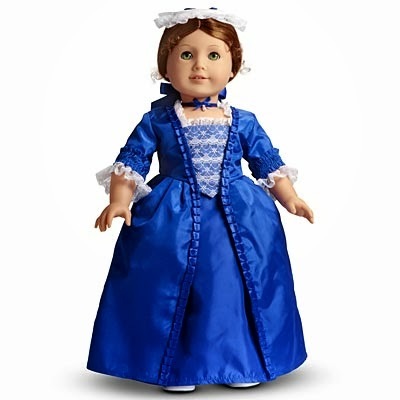 My American Girl doll, Felicity. The guilt over this possession is so intense, I still feel it even though my mother, disgusted that I never played with the doll, sold it over 15 years ago. Her little gap-toothed smile haunts me. Why didn't you play with me? Felicity asks in her crisp colonial accent. She's holding the reins of her beloved horse, Penny, in her small vinyl hand. Was it because I was so flipping expensive and you were afraid of damaging me? Or maybe you were just obsessed with the beauty that was my blue taffeta "Holiday Gown," and you never intended to actually play with me? Which is it, Kimber, which is it?! Her cloth and vinyl body trembles with rage, and small flames seem to appear in her soulless eyes. I'm sorry, Felicity! Cue creepy music box melody. 4. 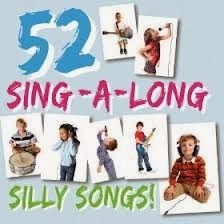 The Sing-A-Long Silly Songs album. I bought and downloaded a collection of classic silly kids songs, thinking I would play them constantly at home while I frolicked around with my children, or else in the car like my mom did when I was young. We'd all sing together, laughing at the silly lyrics, bonding over the shared experience, feeling a little weird when we realized all the songs were recorded by adults. But I never play them. Each time I see them in iTunes I feel like a horrible mother because I'd rather listen to the top 40 in the car than kids' music. Is it so bad that Graham sings along to Katy Perry and Lorde? That he doesn't know who Jon Jacob Jingleheimer Schmidt is? Maybe if he knew "This Old Man" he wouldn't have screamed "DON'T TOUCH ME!" at the admittedly a little creepy (long fingernails, velvet sport coat), yet friendly elderly gentleman who gave him a pat at the grocery store today. One day I will be that mom, showered and in my mom uniform of GAP skinny jeans and a J.Crew cardigan, dancing in my pristine suburban living room, with a halo of my cherubs leaping hand-in-hand about me, all to the melodic chirping of a 43-year old man armed with a synthesizer and a dream. Knick knack paddy whack me in the head because I don't want to listen to this. 5. My basil plants. Once upon a time I bought some basil plants, intending to raise them up unto greatness in my backyard. They started out robust and full of promise. There they are in the lower right square. I called them Mighty, Popeye, and Brawny Man. Then my poor little basil plants experienced the consequences of being planted in an area that hardly gets any sun. The rest of the garden is languishing in similar fashion. 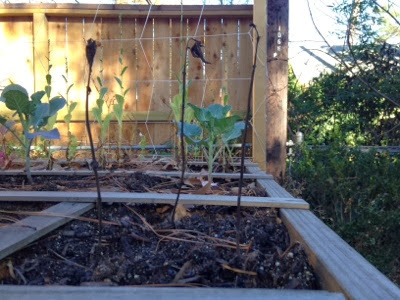 Turns out you need sunlight to grow stuff. I am just a fat, horrible mother with a black thumb and questionable oral hygiene. And somewhere Felicity is sitting stagnant in an attic, cursing my name, her once gleaming auburn hair peppered with asbestos and mice droppings. The domain was a Christmas present. Its purpose: fulfilling my pointless blogging ambition and vanity. Just don't name a kid Felicity. I am sorry about your garden. Your next place will be newer and not have so many trees. Dad is still trying to get your brothers to floss. Why is it so hard??? You're a great mom. Don't worry, I never played with my American Girl- Molly, either. Charles doesn't understand why I need it. I just need it, ok?! I know what you mean! I still have all my American Girl books ... like fifty of them.